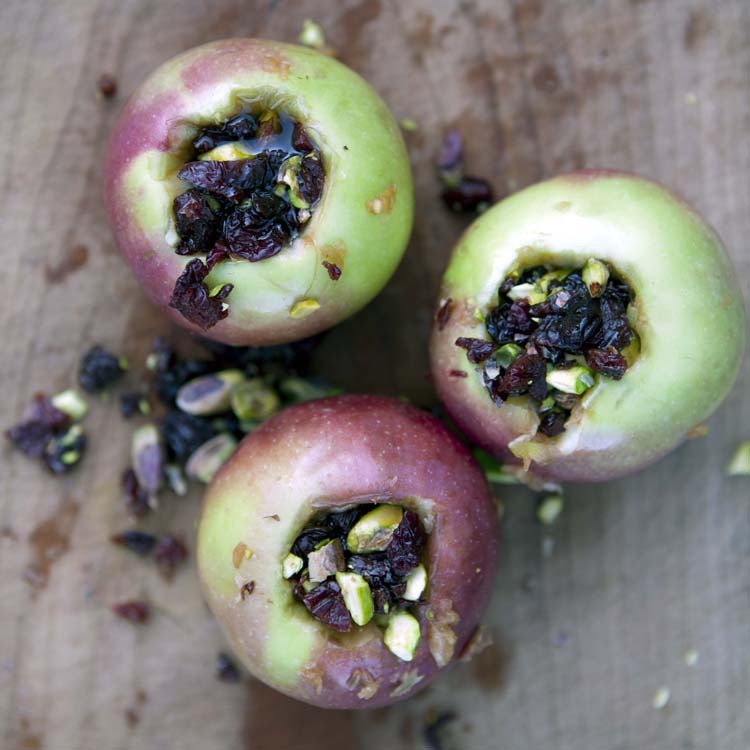 Pack the cavity of each apple with the stuffing mixture. Replace the apple tops; wrap each apple snugly in parchment paper and foil to form tight, round packages. In the hot coals of a dying fire, make several nest-like depressions. Place the apples in the hot nests. Bake the apples for about 20–30 minutes. Let cool slightly before unwrapping and eating.